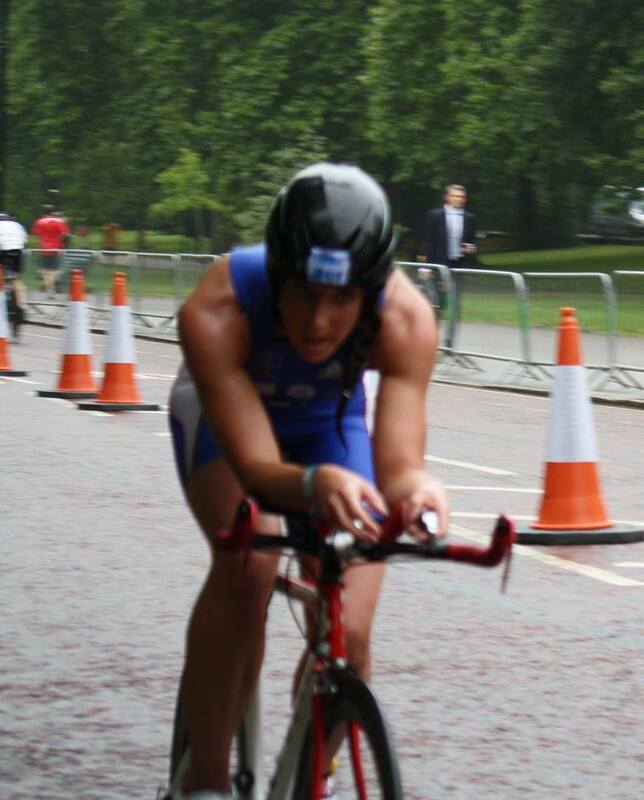 What an honour and a privilege to race a World Triathlon Championships on home turf in Hyde Park! 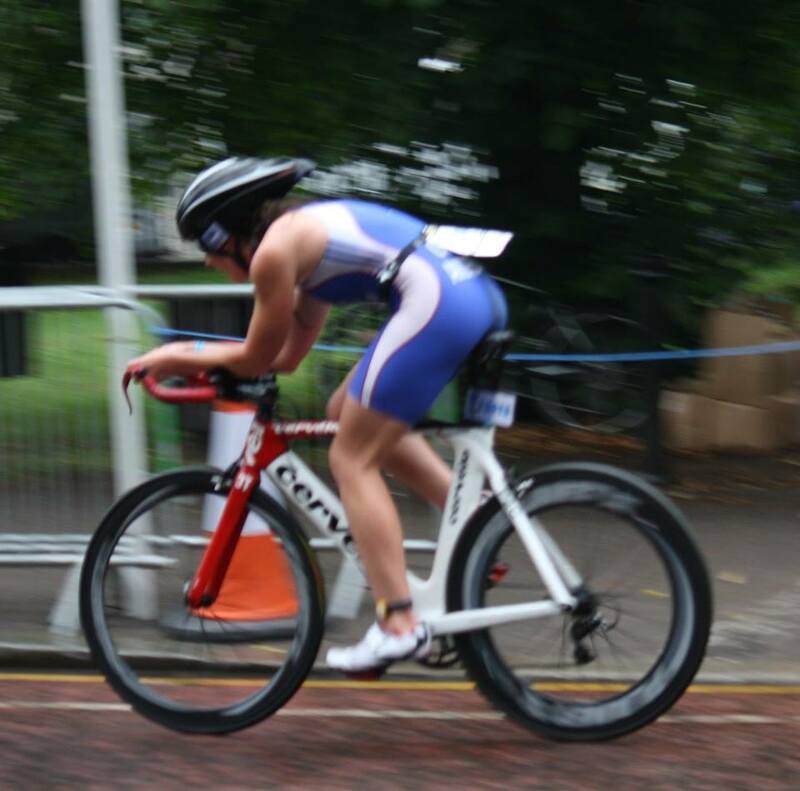 This race had been at the back of my mind ever since I qualified back in June by winning the British Champs. I was so nervous in the lead up to the race but on race morning I woke up to this text from my nephews…. ….how could I be nervous? I had to go out there and enjoy it! On the pontoon the weather was typically British….drizzly rain – although not quite as bad as the Worlds in Budapest back in 2010! I plonked myself on the pontoon next to Suzy Robinson and then a few empty boxes either side of us to give ourselves room (what a luxury!). Good tactic I thought. The hooter went and off we started but I had no-one to draft off. No-one to my left, no-one to my right. Where was everyone? A bit of a lonely swim until I got a clout round the head at the first buoy and then I found some feet. Out of the water in 15th place, an excellent start….except I didn’t feel so good, I’m normally pretty tired after the swim but this was different…. ….hauling myself out the water I started the long run (500m?) to T1. This is where I realised that I felt absolutely terrible. I wasn’t ill, I had had good preparations going into the race, but something wasn’t right. I began what felt like a hand-assisted crawl up the grassy slope to my bike. My legs were heavy, my arms were heavy, even my head felt heavy, my neck ached, I felt a bit not with it…..(I have since come down with a sore throat and general aching so wondering if this was the onset of it)? Mind over matter I told myself…..
…..onto the bike and things went from bad to worse, I felt terrible. The support from the crowd was absolutely immense and I had so many friends cheering it was incredible. 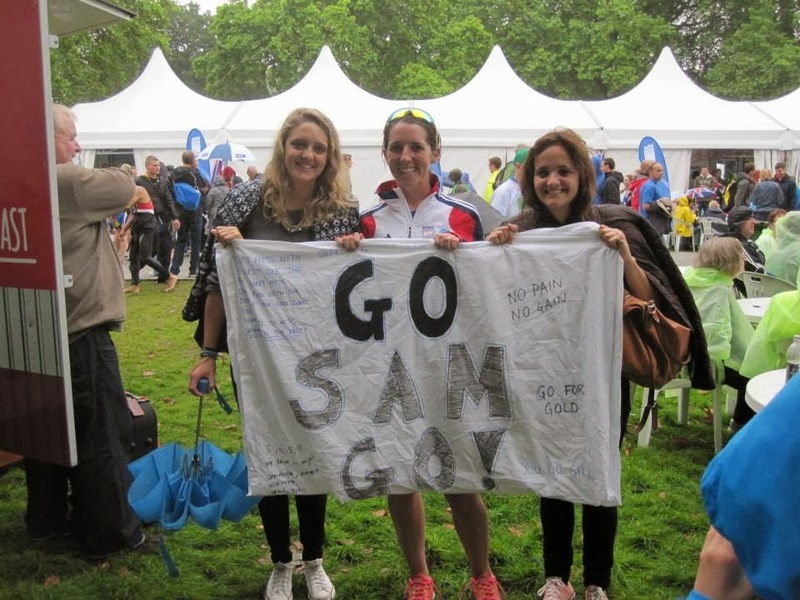 Check out the home-made banner from my friends…..That’s what made me dig in! The support from the crowd was amazing – thank you! I somehow managed to claw back 12 places and returned to T2 with 2 other athletes putting us in 3rd, 4th and 5th place. What an exciting position to be in! A real shot of the medals! Except those weren’t the thoughts that were going through my mind. I was in so much pain with a swollen stomach, I either looked 8 months pregnant or like I’d had one too many trips to Maccy Ds. The pain was debilitating. For those of you who read this blog you will know how much I have suffered for the last 2 seasons with a mysterious stomach condition! 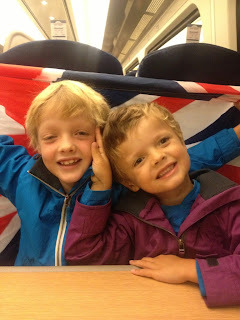 It’s definitely some sort of food intolerance, but when accompanied with nerves and racing hard it massively escalates. I have been running really well recently with an 18:59 5k just 2 weeks ago, and mile reps in training off the bike all at sub 5:50 pace last week so that’s all I needed to do to achieve my much sought after world championship medal. But it wasn’t to be…. The support kept me going and I dug in deep to try to show character and spirit but the other athletes, along with my medal hopes ran away from me. I dropped back to 7th place by the end of the run. In fact I was lucky to hold on to 7th as there were some fast finishing athletes. The biggest disappointment was that I hadn’t felt like myself from start to finish. 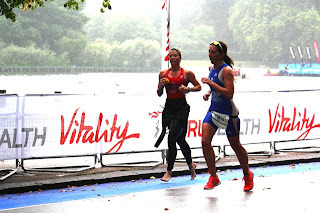 I crossed the line and thought “Don’t cry!” “Don’t cry!” and thankfully I was quickly picked up by the other British Age Groupers who were congratulating me and full of smiles. What a lovely bunch they are! My race was won by elite athlete Emma Holt who absolutely smashed it and was a different class to the other Age Groupers, I think she will achieve big things in her triathlon career. A few moments later and I was reunited with Chris, my family and friends (some of whom had traveled so far to cheer me on!). I was sorry not to give them a better show on the day but I had tried my best. 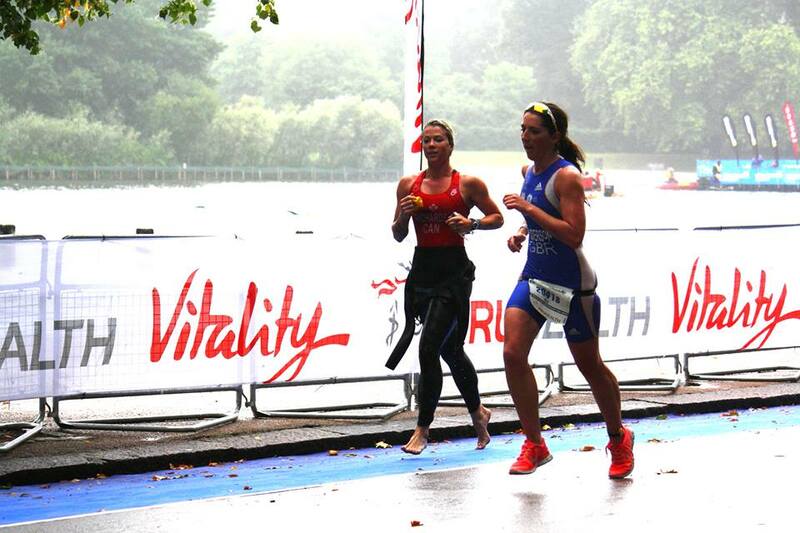 I later congratulated a winner of another age group to then overhear him say to his mate “Oh that’s Sam Anderson, she’s alright but she hasn’t got it mentally” – talk about kicking a man when they’re down! I beg to differ and will let my results this year do the talking. It has still been my best season to date and I’m more encouraged than before to achieve more in 2014. Ladies at lunch! My friends picking me up – thank you!